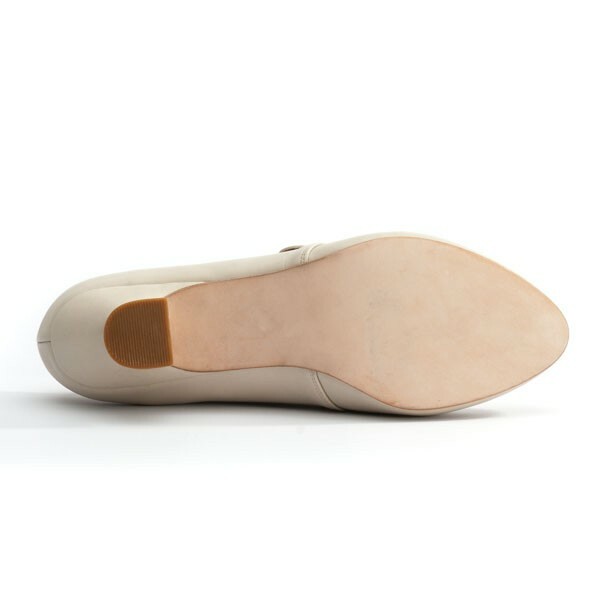 Kensington 18th century shoes are made with dyeable, soft, ivory leather and offer comfort, style, and also customizability. 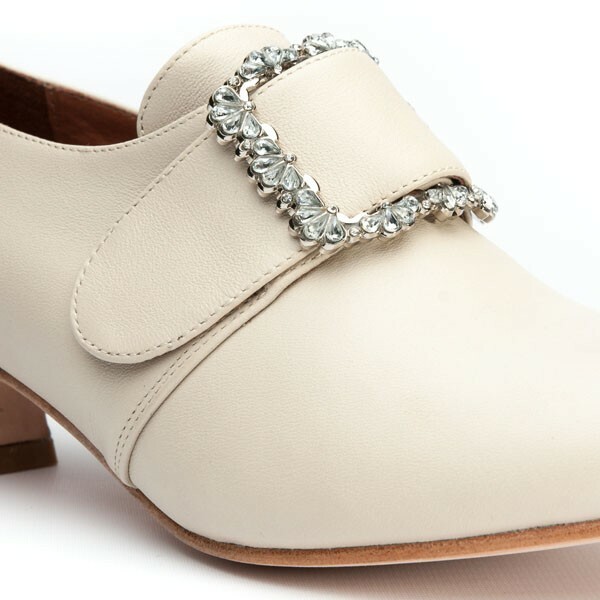 Constructed of 100% top-quality dyeable calf leather, Kensingtons can be dyed or painted any color you can imagine, to match your gown perfectly. 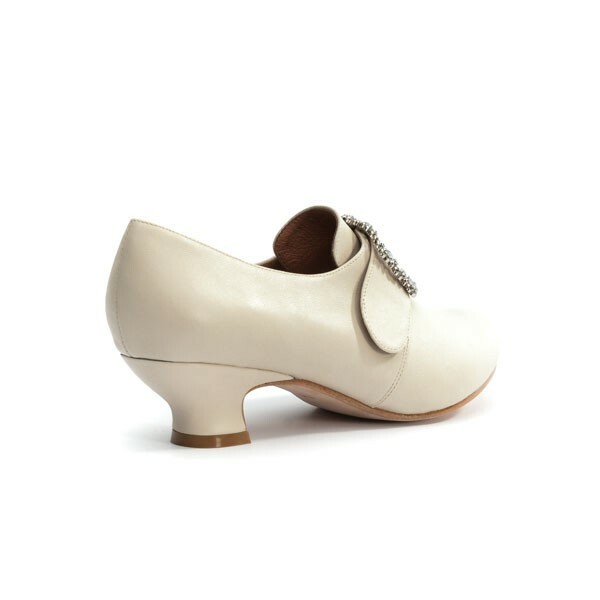 Featuring our one-of-a-kind Louis heels, and a lovely hand-stretched, pointed toe, Kensingtons compliment your ensemble perfectly, whether you're an aristocrat or soldier's wife. Kensington is historically correct for the American Revolutionary War period, 1760s through 1790s. 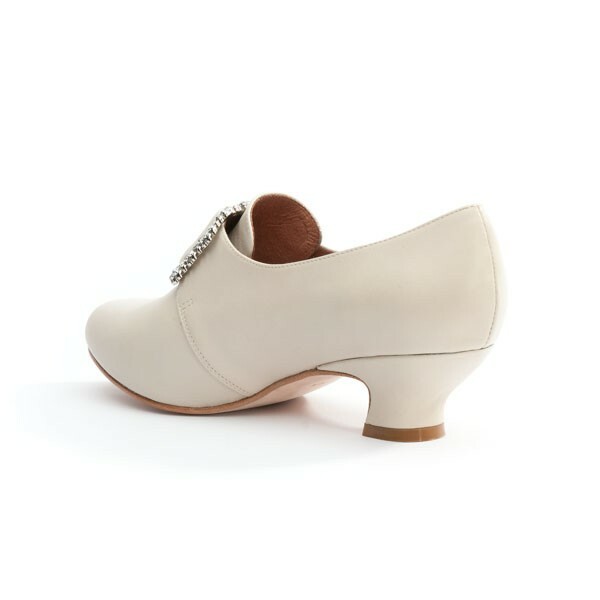 Latchets are 1.25 inches wide and fit our reproduction 18th century shoe buckles, sold separately. 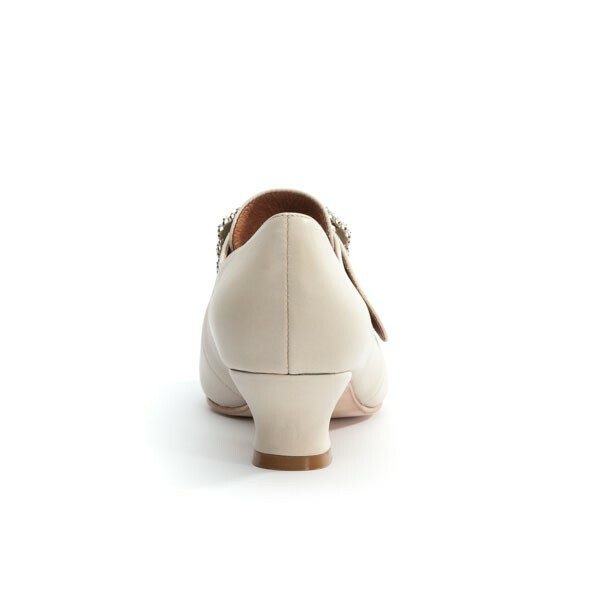 Heels are 1.75 inches high, placed in the center of your heel, and flared for stability and the period look. 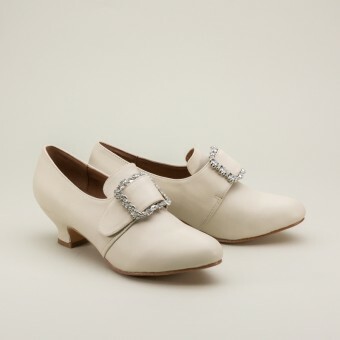 "Kensington" 18th Century Leather Shoes (Ivory)(1760-1790) has an average rating of 5/5 from 6 reviews.